For all our tennis clients here is a list of hotels and accommodation options in Corralejo we recommend for 2017. These were selected based on the location (close to our tennis courts), price, quality and all reviews we have received from our clients throughout the years. There are two options to choose from at the H10 – Ocean Dreams and Ocean Suites. Ocean Dreams being almost twice more expensive than the Ocean Suites, while the major difference being that OD has a free wifi option. They were both opened in 2016 and are very very very new, nicely decorated and both about 150m from the Los Barqueros tennis club. OS being a real deal and our most recommended place to stay in Corralejo. THe Corralejo Beach hotel is located around 100m from our tennis courts, in the very center of Corralejo and right on the beach. 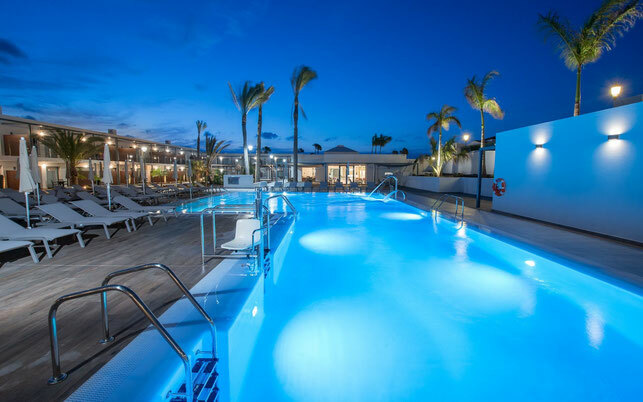 THe Corralejo Beach hotel has a very modern touch and with its moderate price range is definitely a place to check for an available room. Currently there are two Barcelo hotels in Corralejo – Barcelo Corralejo Bay and Barcelo Corralejo Sands. While BCB has been around for some time, it is still one of the most lucrative places to stay at in Corralejo. BCB is adults only so not a place for the whole family vacation, but a place for relax with no screaming kids at the pool site. Barcelo Corralejo Sands is a brand new modern hotel that was finished at the end of 2016. Both hotels include wellness and are just a few meters away from the tennis courts. If you are looking for a more exquisite place to stay while in Corralejo, the Barcelo hotels are a good place to start looking. Avanti is a boutique hotel located in the very center of Corralejo and right on the beach. The hotel is using one of the original buildings of Corralejo, which was refurbished in 2013. It is a very unique hotel build with simplicity and design in mind. If you are looking for a romantic tennis holidays with your partner, have a look at this hotel. If you are thinking about renting a house or apartment while in Corralejo, have a look at the properties of Vacanzy Collection. They offer many houses and apartments in various price ranges. Luxury or standard, sea front or in the center. If you are a big family or a group, then this should be a website to check.